Just over a year ago, Donald Trump announced plans to withdraw the United States from the Paris Agreement. The decision was a massive blow to the global fight against climate change — it made America one of just three world nations not committed to the goals of Paris Agreement. (As of today, it is the only nation not part of the deal.) But mere hours after the news broke, a group of 61 U.S. mayors fired back with an announcement of their own: they would be honoring the Paris Agreement anyway. "The world cannot wait," their signed letter read. "And neither will we." The letter was updated as more and more mayors leapt to join the cause. 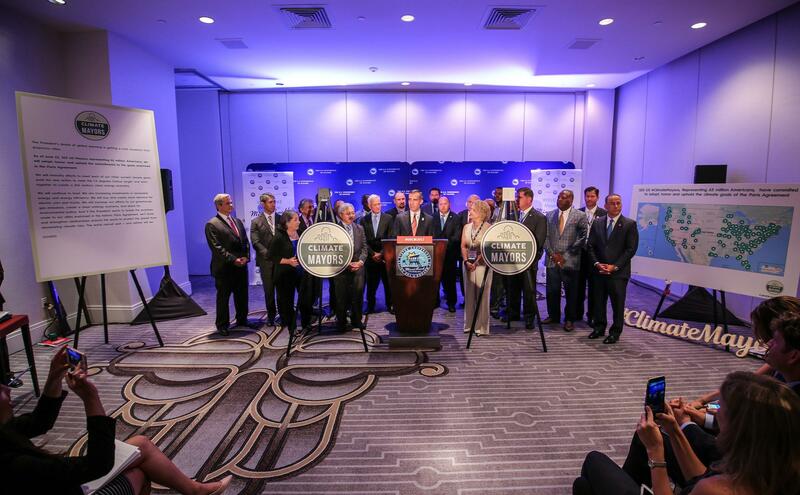 By the time the dust settled, 405 mayors had taken the pledge. These politicians are often referred to as the "climate mayors," although the official Climate Mayors network dates back to 2014. It's only expanded in the time since, now boasting hundreds of members representing 70 million Americans. 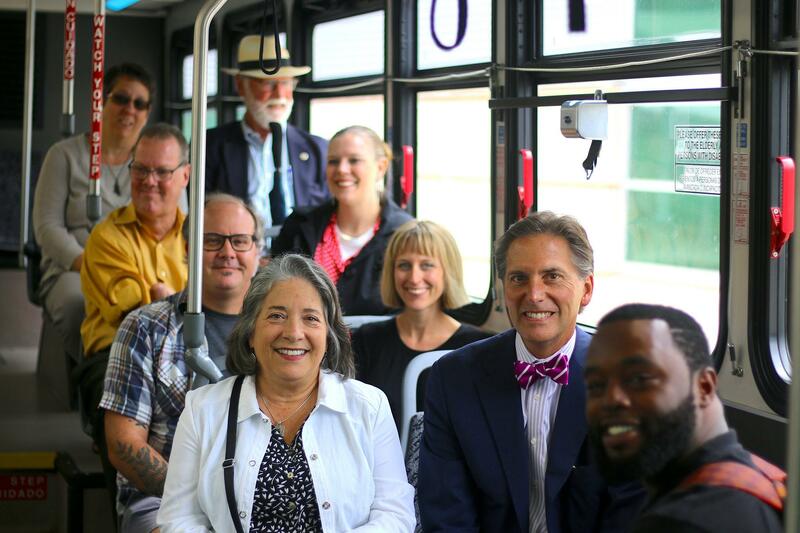 To get a sense of what these environmentally-conscious leaders have been doing to honor their pledge, we spoke with Madeline Rogero, the mayor of Knoxville, Tennessee, and one of four co-chairs of the Climate Mayors. Via email, she recalled the rush on June 1, 2017, when she and so many others committed to the Paris Agreement, and shared what she's been up to in her own city. Why was committing to the Paris Climate Accord last year, even as Trump withdrew from it, important to you? As mayor, I’m entrusted with an opportunity and an obligation to leave Knoxville a better place than I found it — a stronger, safer, healthier, and more equitable city that can thrive over the long term. For me, that responsibility includes addressing climate change and building local resilience. That’s why, regardless of federal action, I will continue to advance Knoxville’s local values by upholding the principles and commitments of the Paris Agreement. What were those first few days after the announcement like, as more and more mayors pledged to stick to the agreement? 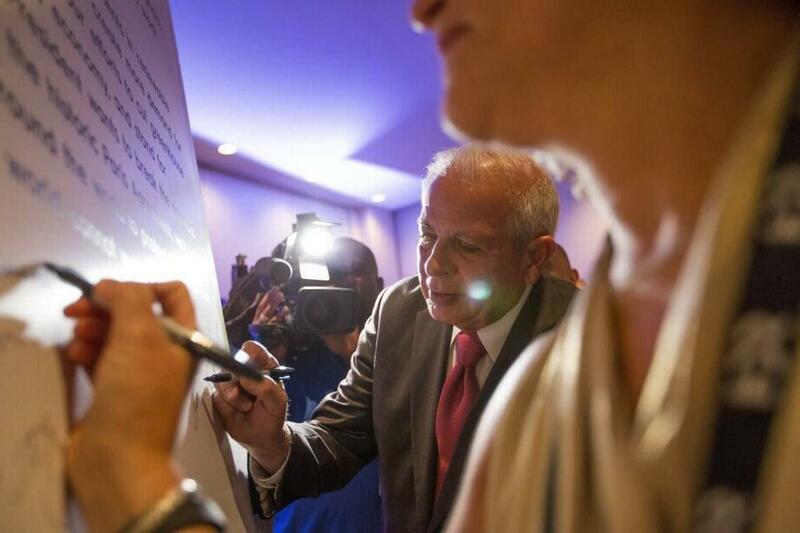 It was inspiring — though not necessarily surprising — to see so many other mayors stand up and support the agreement. All across the U.S., in red states and blue states, small towns and major cities, local mayors are advancing climate action in ways that make sense for their citizens. I was glad to see the Climate Mayors network send a clear message to the nation and the global community that U.S. cities are still committed to climate action. What do the Climate Mayors hope to accomplish as a group? 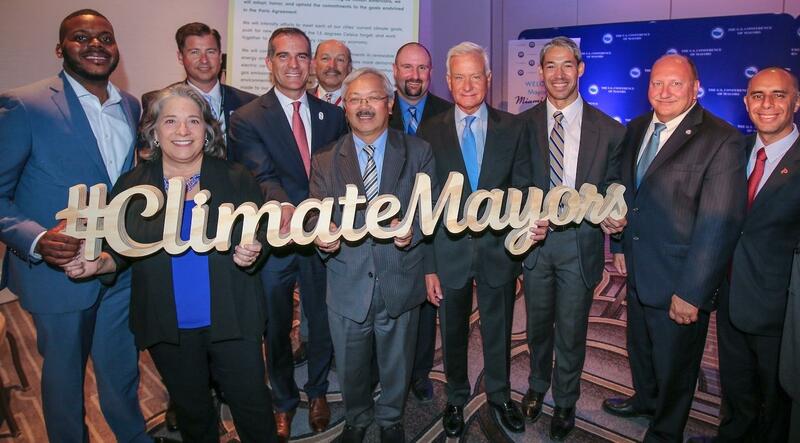 In addition to demonstrating and celebrating continued action by U.S. cities to reduce greenhouse gas emissions, the Climate Mayors network provides a platform to facilitate learning and collaboration between local government leaders and seeks to build political will for effective federal and global policy action. What do you hope to accomplish in Knoxville? Do you think your city is on track to reduce greenhouse gas emissions by 2020, compared to your 2005 levels? We have already reduced municipal emissions by 15 percent, thanks to measures we took to reduce energy use at city facilities and improve the fuel efficiency of our fleet and transit buses. We plan to exceed our municipal goal in the coming year by retrofitting the city’s street lights to LED technology, an investment that makes sense for the environment and for taxpayer dollars. What actions have you taken in the past year to meet that goal? Last year, the city and our partners wrapped up the Knoxville Extreme Energy Makeover program, which provided comprehensive energy efficiency upgrades to nearly 1,300 lower-income Knoxville families over a two-year period. That program saved energy and reduced emissions while also promoting financial stability and improving the quality of life for families. Sustaining momentum to promote energy efficiency for all income levels and housing types will continue to be a priority. What other steps have you taken in the past year to make Knoxville more sustainable? There are so many exciting initiatives we’ve done over the last year – we’ve invested in energy efficiency, protected our urban forest, and expanded infrastructure for walking, biking, and transit, to name just a few. What is your vision for the next year in Knoxville? We will continue to reduce emissions in ways that create multiple benefits for Knoxville residents. We can and will continue to advance sustainability in the face of a changing climate by working closely with our neighbors to make smart and practical decisions about how we grow, how we build, and what kind of technologies we invest in. It's very easy to feel pessimistic about the state of our environment, so where should people look for hope? Progress is happening across country in cities, towns, and neighborhoods where local leaders, residents, and businesses have come together to reduce emissions while improving quality of life. These local communities know that protecting the climate is not a choice between our environment and our economy.